Do you want more visitors to your web site? Would you like traffic NOW instead of months or years from now when search engine optimization typically (if ever) pays off? If so, I've got an important message for you. You Can Get High Quality Traffic to Your Website in Less Than 24 Hours Even if You've Never Gotten a Single Visitor Before! You Can Get Traffic Coming to Your Site Within Hours, Not Months! ...and it's highly targeted traffic, done the right way—in other words, it won't get you in trouble with the search engines! These are not experimental, here-one-day-and-gone-the-next, loop-hole traffic tactics that could get your site banned from the search engines. Everything is proven, legitimate, and time tested! There are multiple traffic methods you can rely on . . . so you never have to worry about putting all your eggs in one basket! Not only will you learn WHAT to do to buy your traffic, you'll discover exactly WHERE to go to buy it for the best - and most profitable - results! If you're good at search engine optimization, link building, and keyword research you can get some of your pages up toward the top of the search engines in time. Of course, it usually takes months, or even years, to get there. You Just Want to Get Traffic NOW! That's what the Get Traffic NOW! course will show you—exactly WHAT to do to "buy" traffic and exactly WHERE to go for the best results. Most traffic getting courses, ebooks, videos, and traffic generation software teach traffic generation methods that take very long amounts of time to actually start generating traffic. Further, the learning curve to understand some of these traffic methods is quite extensive and adds even more time to getting them to work. Even those methods that are easy to pull off and explained in great detail still take time and effort to implement. Wait for weeks and months to see the results. And sometimes those results never come—there are just too many things that can go wrong. Rather than fighting the system, sometimes you just want to buy the traffic and get things going. That is why I'm offering this course: To help busy people get traffic fast, even if their budget is only $10, and even if they have limited knowledge, and tight schedules. Amazingly, You Really Can Get "Push Button" Traffic! A lot of sites offer "push button" traffic. That is, you buy some piece of software, push a button and it will generate traffic to your site. Sounds too good to be true, right? In my experience, it is. I've never found a piece of software yet that delivered quality traffic on autopilot that didn't rely on "loopholes" that are closed quickly or "robot" traffic. And I've been making a full-time living online since 1999. It's the "Buy Now" button for advertising! If you want true "push button" traffic, then just BUY THE TRAFFIC. Push the order button and let others send you traffic. It's really that easy. It's simply a matter of know where to buy the traffic. Think about it: if you could spend $10 for traffic that earns you $20 ... how many times would you do it? You'd push that button over and over and over again, right?! You'd keep buying that traffic as long as it was making you money. You'd spend not just $10 to earn $20, but $100 to earn $200, and then $1,000 to earn $2,000. You'd keep pushing that button as often as possible for as long as it kept generating a profit. The truly wonderful thing about this genuine "push button" traffic is that there are MANY different ways to get it. In fact, I show you 27 of them inside Get Traffic NOW! 1) They are focusing to much on free traffic. Now don't get me wrong, free traffic is great. I get plenty of it, but it took a long time to get to this point. It is a time consuming, tedious process. It takes time to learn strategies, time to implement strategies and time for those strategies to start working. Most people give up before they see results. If the old adage is true and time really is money, then you would be wise to do what the best of the best do . . . spend your time and money where you can get the best return. More often than not paid traffic has a faster and better return for both your clock and your wallet. 2) They follow the wrong advice. There is a lot of outdated information about how to get ranked in the search engines. Worse, some of it was never true. Following the wrong search engine optimization advice can actually make it harder to get good rankings. Some of it will even get your site banned. 3) They burn out and get bored. As time passes and you continue to do the dozens and dozens of tasks it takes to generate free traffic to your site, you find that you are not really getting to spend the time doing what you love (working on your business). Instead, you are always working on driving traffic to your site. This eventually leads to burnout or boredom. The key to avoid burnout, is the same key to solving the previous two problems: Invest your money in traffic so that you can use your time for what you love and for what you are best at. This will be a much better return on your money and time in the long run! Ok, so now for the good news. There are many beneficial things about buying your traffic. One of them is this: traffic is delivered very quickly. Often within 24 hours. Sometimes within minutes. EXAMPLE: Let's suppose you buy a solo mailing to a large newsletter list within your niche. A spot is available on Friday. You buy it. Friday morning the mailing goes out. Within minutes traffic can be headed your way. Within 24 hours the bulk of the traffic has arrived. Within 72 hours you've got the full effect of the mailing. If they archive it at a site or blog, you'll continue to get some trickles for an indefinite period of time. The point being - the traffic comes in quickly. There's no waiting around for weeks or months. The mailing that you paid for goes out and on the same day you start seeing results. It's targeted traffic too, and that's the BEST kind. It's GUARANTEED. You don't have to try to convince JV partners to work with you or get others to take action . . . you simply buy what you need. It's QUICK. Most free traffic methods take time to build up. You can buy traffic and have it start coming as quickly as today. It's REPEATABLE. Your can repeat it over and over . . . if you spend $10 to make $20, just keep doing it over and over again! It's VARIED. There are many, many ways to buy traffic. You don't have to worry about one method drying up, you have a variety of other methods that are generating a traffic stream for you. It's SCALABLE. When you are spending $10 to make $20, you can scale things up and spend $50 to make $100, or $500 to make $1,000, or . . . how big is your imagination?! If you want to take advantage of a huge variety of guaranteed, quick, duplicatable, and scalable traffic sources, then you need to check out this course. The Get Traffic NOW! course is about BUYING high-quality, targeted traffic. In the course I share 27 different ways to do so and show you the best places to get it. Psst... Be sure to check out the free bonus products I've included—I also show you the best ways to get free traffic. You get the best of both worlds! How to find high quality Pay Per Click (PPC) advertising venues and 11 most popular PPC services including the obvious giants like Google, Yahoo, Bing, and Facebook. How to find quality forums that accept ads. Niche forums are some of the best places to buy advertising because the members highly targeted repeat visitors. Plus, you'll get a proven email template you can use to help land your ad in forums that aren't currently accepting advertising. Where to find newsletter advertising opportunities and how to take advantage of these high converting advertising opportunities. Plus you will discover the important questions you must ask before you buy this type of advertising. Where to buy banner ads, plus the 4 questions you should ask before buying, and 6 places to look for buying banner ads. How to find and buy advertising on joint venture and affiliate partner networks and the benefits and services that come with using this method. Plus, get my VIP list of the best networks to use. How to understand and buy CPA and CPM advertising opportunities and the "Top 10" list of the most popular CPA networks you should consider using. Once you gain experience and confidence, if you want to really step up your game you'll discover how to find and hire advertising managers and PPC management services that get results. You will learn the two things you should keep in mind in the hiring process and what these hired people and services should be responsible for. How to use press release services to drive traffic. You will find out how and where to find these services, where to find professional press release writers, and how and where to hire publicity experts. A bonus report even shows you how to write and submit press releases yourself if there's no money in the budget for a pro. It's not hard at all! How to use co-registration companies to buy email ads, and an important reminder that could save you tons of time and money. Also, you will discover the 4 questions you have to ask before buying your leads from a co-registration company. How to use post card advertising and how to find and buy co-op ads and other bulk mail ads. You also get my personal list of services you can use to design your post cards, and great bulk mail advertisers. Discover 2 ways to find marketplaces to sell lead-generating products and 7 auction websites you can use to start placing ads immediately. How and where to find effective places to buy online classified ads and the 7 perks of using premium paid listings, plus a listing of the most popular classified sites. Plus, I will share with you 2 key factors to keep in mind when creating your classified ads. How to find and buy offline advertising with TV, radio, and print ads. Get tips on choosing the right market location, how to place ads with related programming, and even outsource your offline advertising. Plus, discover several types of print advertising other than the typical offline print ads. How to find and use blog feed ads and blog network advertising and how to get product reviews on popular blogs. Discover several ways to advertise on blogs, 4 benefits of advertising on a blog, what you need to know before using paid blog reviews, and the most popular sites to buy product reviews and blog entries. How to find video production and distribution services where you can use videos to advertise your business several different ways, including: posting infomercial-type videos, using "how to" videos, and uploading viral videos. How to find and buy niche domains with existing type-in traffic and how to find and buy established, highly trafficked niche websites. Get premium domain name buying advice, using reputable website brokers, and 8 key factors to take note of when buying pre-owned domains. How to find and buy ads on popular YouTube videos and on popular social media sites. Get step-by-step instructions on buying YouTube ads and step-by-step instructions on how to place the best and right ads on the right videos. Also get a list of the more popular general social media sites you will want to consider when placing your ads. How to find Legitimate "Guaranteed Traffic" sources, finding and sponsoring charities and events, generating leads at trade shows, and how to get listed in online directories . . . all to drive tons of traffic to your website. Dozens of clickable links! You'll discover resources (some well known and some well kept secrets) for each of the 27 methods for buying traffic! That's 27 proven ways and dozens of resources that you can put to use immediately to buy a boatload of traffic for your website all packed in to a 60-page no-fluff, traffic getting manual. Over 150 Clickable Links To Paid Advertising! One of the things you'll really appreciate about the "Get Traffic NOW!" course is that I reveal dozens of websites where you can buy traffic. That's right, instead of just telling you WHAT to do, I also show you WHERE to go in order to buy your traffic. And I don't stop there. While there are more than 150 places to buy paid ads listed, I also teach you how to find even more yourself! There's no limit as to how many places you can buy advertising. You'll discover 27 ways to buy traffic, more than 150 places to buy traffic, and as if that wasn't enough, I'll teach you how to find even more! Note: While many of the strategies will have tips for success and even some steps to complete, this is not a "highly detailed" how-to manual. For example, if I show you where to buy pay per click ads, don't expect a complete course on how to setup and manage PPC ad campaigns. There are plenty of great courses out there on that subject—this isn't one of them. 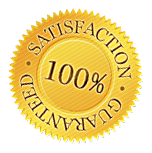 The first four bonuses were written specifically for this course. The last two I'm including simply because they're such a great fit. Bonus 1: Testing and Tracking for Greater Profits. In this 13-page report I show you what you should test and track and how to utilize the right tools, procedures, and more . . . all so you can make sure you are getting the best return on your advertising investments. Bonus 2: 7 Profit Tactics. In this 17-page report you will get seven methods for increasing the revenue on your paid traffic. This will focus on things like creating a lead-generation product, increasing your conversion rates, upsells, one-time offers, and more. Bonus 3: 7 Winning Ad Strategies. In this 16-page report I show you seven methods I use to increase the effectiveness of my paid ads. I show you how to use great strategies like using negative qualifiers, built-in deadlines, arouse curiosity, calls to action and 3 other powerful methods. Bonus 4: Get Traffic Now Toolkit. This 14-page toolkit is full of info that will help you excel in your paid traffic generation efforts. You will get a 7 day weekly schedule checklist, a monthly schedule checklist, ad templates and 37 places to get free ads. Bonus 5: How to Generate Free Traffic. This covers an assortment of ways to generate FREE traffic. Many of these tactics have the potential to go viral—just imagine a runaway train of traffic at your website! Bonus 6: Press Releases Made Easy. This sells as a solo product, but I had to include it here because it's such a great fit. I started my online business in 1997 and went full-time in 1999, and I remember what it was like just starting out. During my first year online, before I was making good money, $67 might have been too much. I didn't want to make mistakes, and I'm sure you don't either, so I'm cutting the price way down so you'll know you are making a smart decision. To make sure I'm not pricing this out of reach for the very people who need it most, I'm cutting the cost as much as I practically can (I do have to earn something for all the work I have invested in this—around 175 pages of killer content, but don't worry about being overwhelmed, you don't have to read the bonus products, but they're there if you want to). Order today and you'll get the main product and all 6 bonuses for just $37 . . . let me say that one more time so you'll know it wasn't a typo—order today and you get this incredible, written-to-be-priced-much-higher package for just $37. Not sure if this is for you? Just say "Maybe" and get your very own No-Risk copy of Get Traffic NOW! If you've read this far I'm sure you'd really like to start flooding your website with traffic, but you might be thinking in the back of your mind, "What if this isn't for me?" Listen, there's no need to say "yes" at this point, just say "maybe." 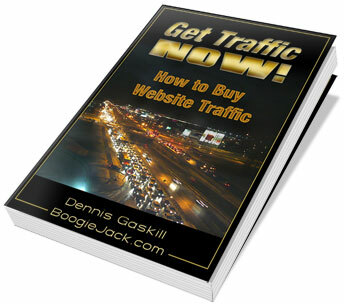 Order Get Traffic NOW! below. Try it out for 30 Days. If it doesn't work for you, then email me back and I'll refund your money. It's that easy. Yes sir! I want to discover how to buy website traffic and get my site noticed and growing. I understand I still get all 6 bonus products even though you cut the price almost in half. Just $37.00 if you order now! Instant Download! Important: If your browser settings prevents you from being redirected to the download page after payment please click the gold "Return to Merchant" button, which will also take you to the download page. P.S. Think about this: All it takes is one good traffic source to flood your site with highly qualified, perfectly targeted traffic. In the course I share 27 ways to buy traffic, and I reveal more than 150 sites where you can go to buy these different kinds of traffic. If you just use ONE of the sites I share with you to generate traffic this course pays for itself almost immediately! There's virtually no way you can go wrong with this. If you want to buy traffic, this course will show you where to go to do just that.